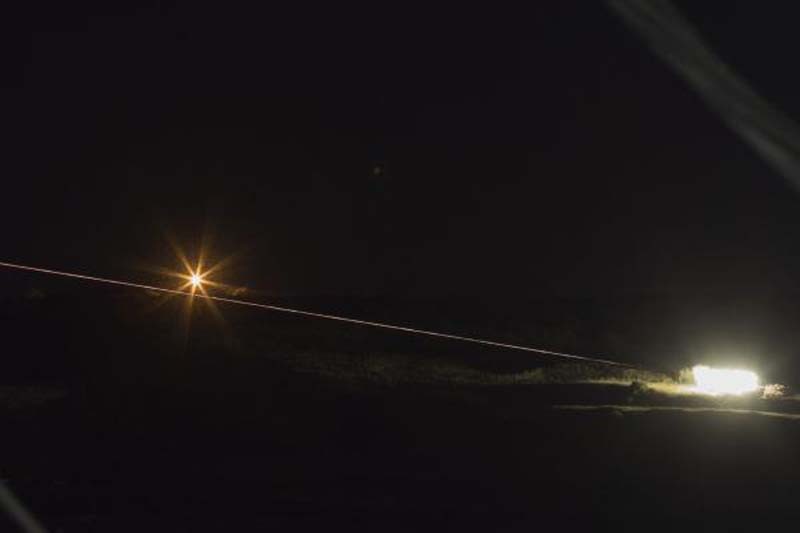 Israel Defense Forces intercepted Iranian rockets fired from Syria into Golan Heights early Thursday, Israeli military officials said. The IDF said Iranian Quds forces fired about 20 rockets at military posts in Golan Heights. No injuries were reported. "A number of rockets were intercepted by the IDF's Iron Dome aerial defense system," the IDF said. "The IDF views this event with great severity and remains prepared for a wide variety of scenarios." IDF spokesman Lt. Col. Jonathan Conricus, told The New York Times that Israel responded to the attack but didn't provide details. The Times of Israel reported there was damage to Israeli military bases. If verified, it would be an unusual direct attack on Israel by the Iranian Revolutionary Guard Corps, which typically acts against Israel through proxies. Syrian media said the Israeli military targeted a Syrian military post near the border after the Golan Heights attack. The incident comes one day after the Syrian Observatory for Human Rights said Israeli airstrikes killed at least 15 people including eight Iranians. Israeli fighter jets struck a Syrian army position south of Damascus, a pro-Assad commander said. The Israeli military didn't confirm the strike, as it has a policy against commenting on Syrian airstrikes.